Those familiar with the name Theodosia are no doubt fans of the musical Hamilton, in which Aaron Burr sings to his daughter in “Dear Theodosia,” "When you smile, you knock me out, I fall apart / And I thought I was so smart." In real life, Theodosia, born on June 21, 1783, got her name from her mother, who died, probably of cancer, in 1794. Aaron gave Theodosia the best possible education, and she went on to have an incredibly interesting life; here are a few things you might not have known about her. 1. SHE WAS CONSIDERED A PRODIGY. 2. SHE MAY HAVE BEEN CLOSE TO EXPLORER MERIWETHER LEWIS. The relationship between Theodosia and Lewis has been the subject of tabloid level speculation for over a hundred years. The traditional story is that the two met at a dinner hosted by Thomas Jefferson; discussed the possibility of finding living examples of the mastodon, bones of which were just being found, on Lewis’s upcoming expedition; and went on to have dinners and riding dates together before Theodosia married in 1801 and Lewis embarked on his expedition in 1803. It’s a nice story, but just that—a story. Quite apart from the fact that mastodons weren’t named as such until 1806, Theodosia married in February 1801, while Lewis was in the Army and still stationed at Detroit. 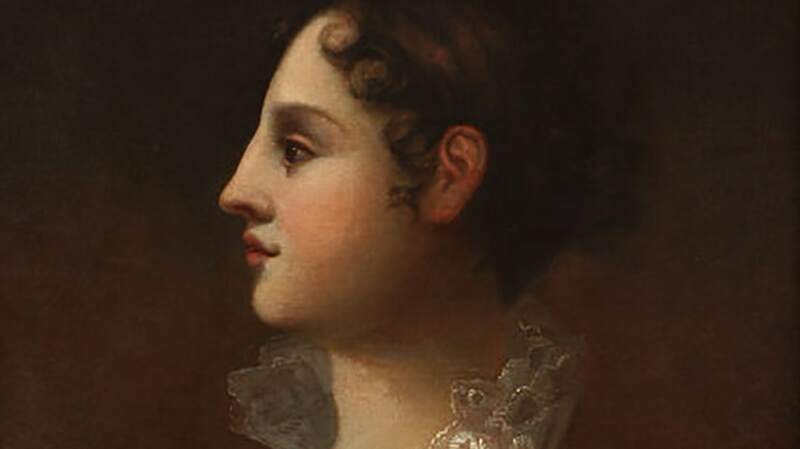 Lewis wouldn’t arrive in Washington until March, a full month after Theodosia married. It’s also unlikely that the two would be talking about an expedition that was still years away. Finally, the two probably never really interacted that much. As Richard Côté points out in Theodora Burr Alston: Portrait of a Prodigy, when Theodosia visited Washington in October 1803, Lewis and Clark were already in Illinois. So while the two may have known each other, reports of a romance have been greatly exaggerated. 3. HER HONEYMOON DESTINATION WAS THE START OF A TREND. 4. IF THINGS HAD GONE HER FATHER’S WAY, SHE WOULD HAVE BEEN A QUEEN. In 1805, one year after the famous duel with Hamilton, Aaron Burr hatched a questionable plan: He was hoping to annex part of North America and declare himself the monarch. This would have made Theodosia next in line to become Queen of Mexico; eventually, her son, Aaron Burr Alston, born in 1802, would have inherited the throne. Obviously, Aaron’s plan didn't pan out, and he was later tried for treason. 5. SHE WROTE LETTERS TRYING TO GET HER FATHER OUT OF EXILE. While Theodosia’s efforts didn’t directly bring her father home, the responses she received showed that the government wouldn’t provide any obstacles to Aaron Burr’s eventual return in 1812. Back in the United States, Burr practiced law in New York City. 6. SHE WAS THE FIRST LADY OF SOUTH CAROLINA. 7. IN 1813, SHE DISAPPEARED FOREVER. Aaron Burr had experienced some pretty rough years, but they would all pale in comparison to what happened between 1812 and early 1813. In June 1812, just weeks after returning from Europe, his only grandson died of malaria. A few months later, Theodosia boarded the Patriot, which had previously been used in the war of 1812, to go see her father—but the ship never reached New York. The boat disappeared, taking 29-year-old Theodosia Burr Alston with it [PDF]. 8. SHE CONTINUES TO INSPIRE PEOPLE TODAY. In more recent years, Theodosia inspired a corset made by artist and costume designer Camilla Huey for her 2013 exhibit "The Loves of Aaron Burr: Portraits in Corsetry and Binding." With Hamilton bringing her name back into the mainstream, this probably won’t be the last we hear of Theodosia Burr Alston.